Its March, and the mornings are getting lighter. The youngest and I started our early morning walking again today. It was grey, it was windy, it was cold. I wished I'd stayed in bed, but once out it was ok and I felt much better for it by the time we got back. Hopefully those pounds gained over the winter months will start to shift themselves. Mind you, it would help if I stopped eating too, but how can you cut down on the calories when the weather is so cold. Friday and Saturday were so spring like, then yesterday winter returned, we had rain all morning, followed by sleet and snow in the afternoon. As I say Mad March. 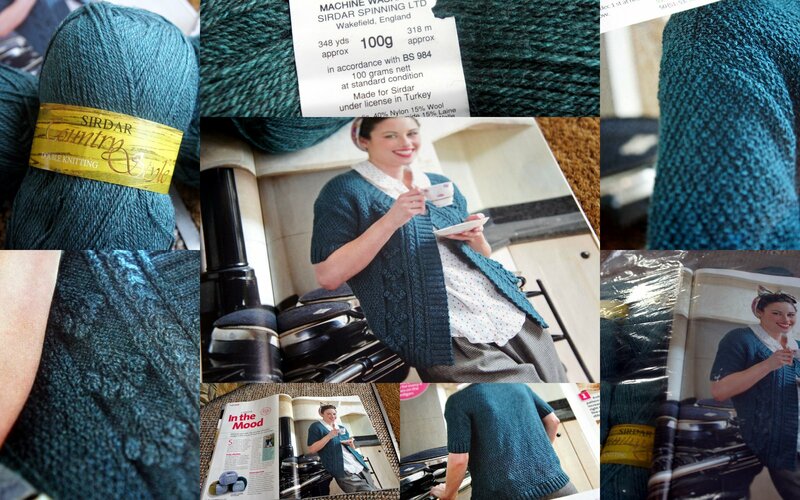 The weather yesterday did however allow me to get on with some knitting. I am well into my In the Mood Cardigan - the back, and one sleeve completed, sleeve two cast on and ribbing completed, 7 pattern repeats on left front completed and soon to start the shaping for the next. The "no new projects during Lent" has been kept too, though I do have several patterns sorted for future projects, which was nearly as satisfying. If you are into photography, can I point you to Daffodil's Photography Shop you will be sure to find something you like. Kate is doing a giveaway on her photography site so as I say check it out. Kate also writes a really good blog - where you will also see more of her great pictures, in particular of her beautiful sons. It has been icky here too, almost every day has been cloudy and cold. I'm ready for spring! I really love the cardigan pattern, it will look amazing when you are done!